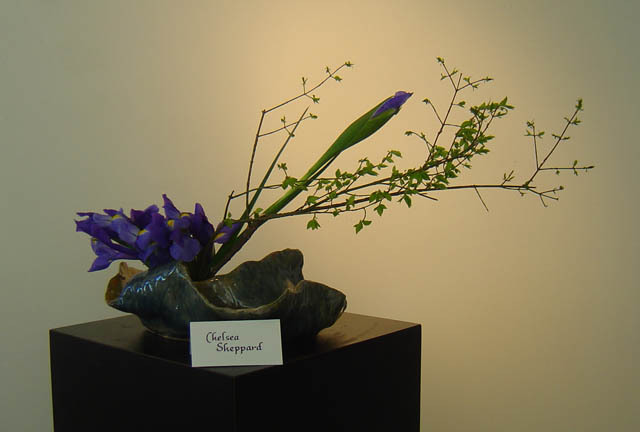 CAPA ceramic students and Pittsburgh Sogetsu Ikebana collaboratively explore the beauty, art and synthesis of Japanese flower arrangement with hand made containers. 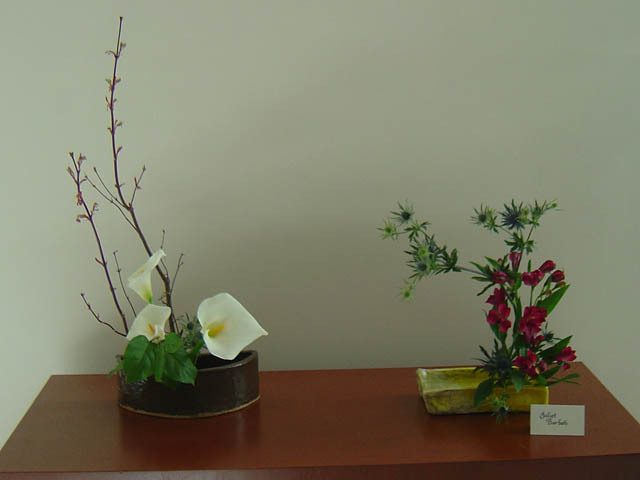 In autumn 2006 two senior students approached me for suggestions about developing a senior project in ceramics related to Japanese culture. 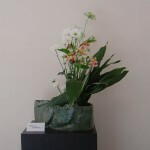 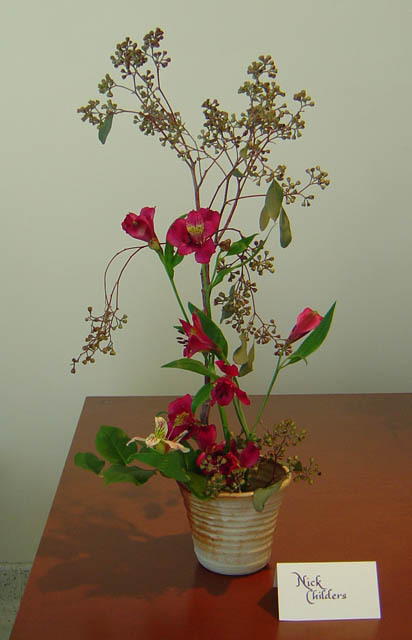 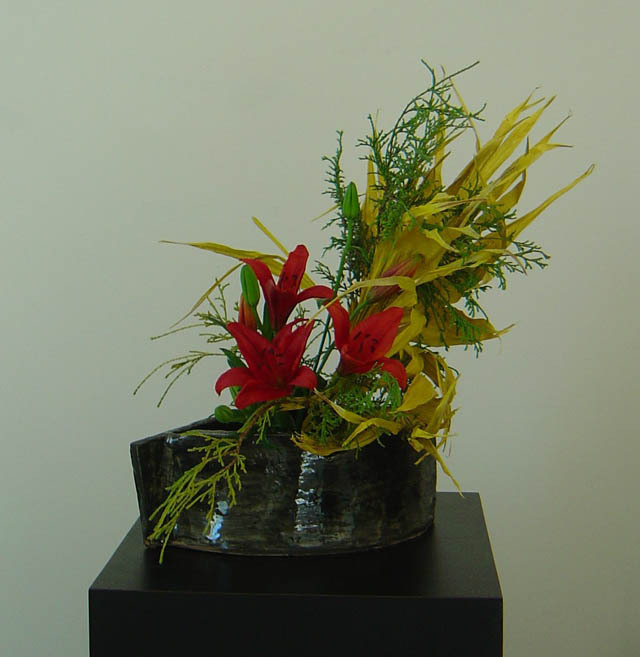 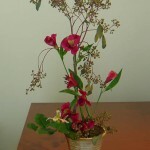 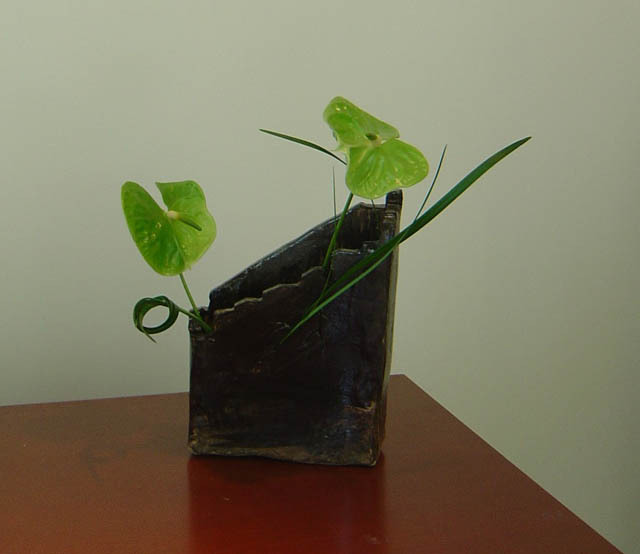 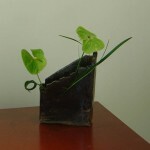 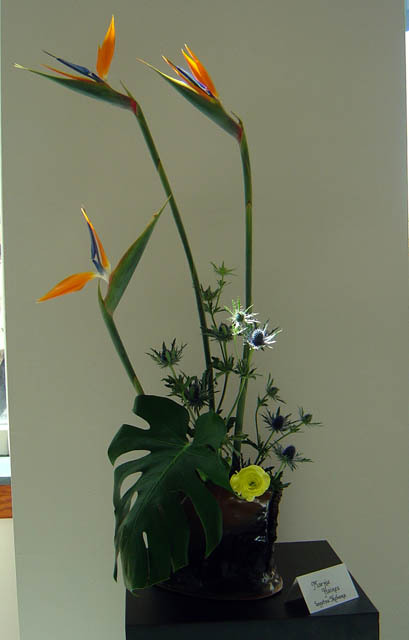 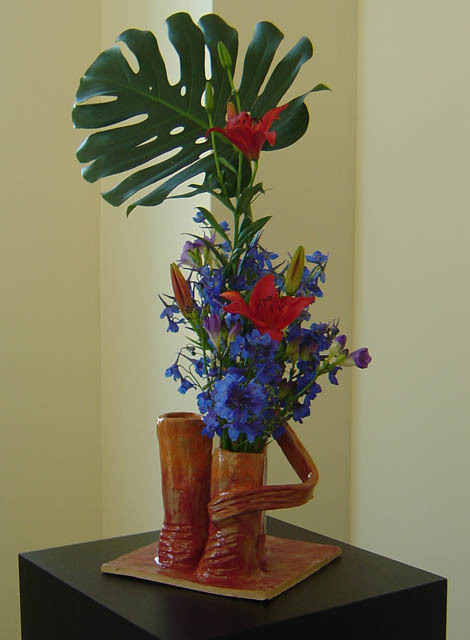 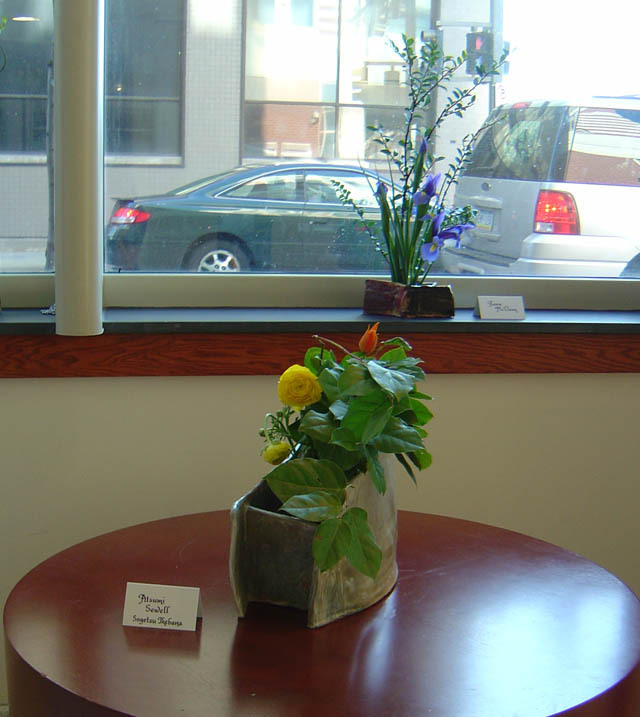 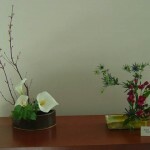 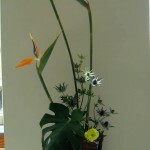 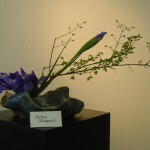 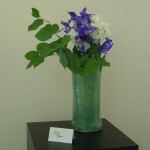 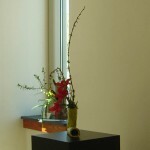 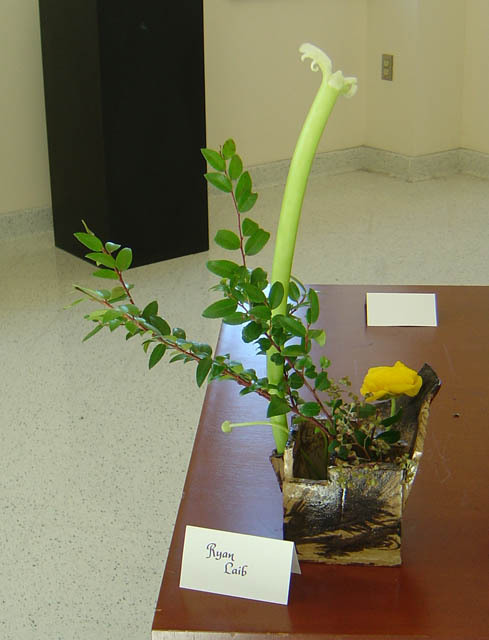 As an avid gardener, I had heard of Ikebana, the Japanese art of flower arrangement, and suggested that we research this topic to learn about the design and roles of containers in this aesthetic system. 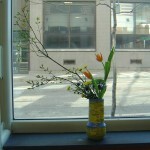 Findings from this inquiry would inform students’ creation of their own original forms. 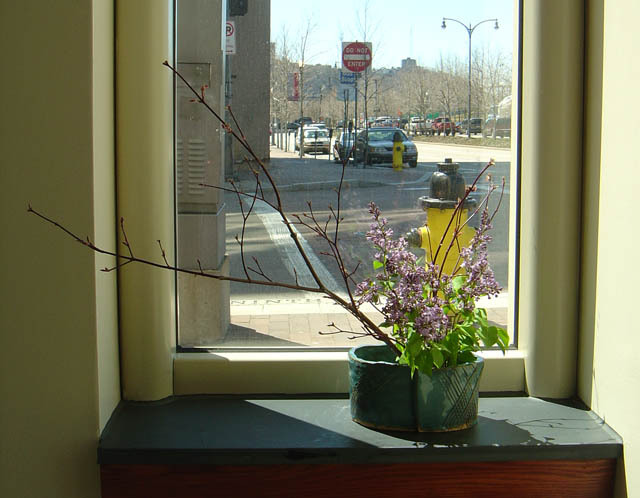 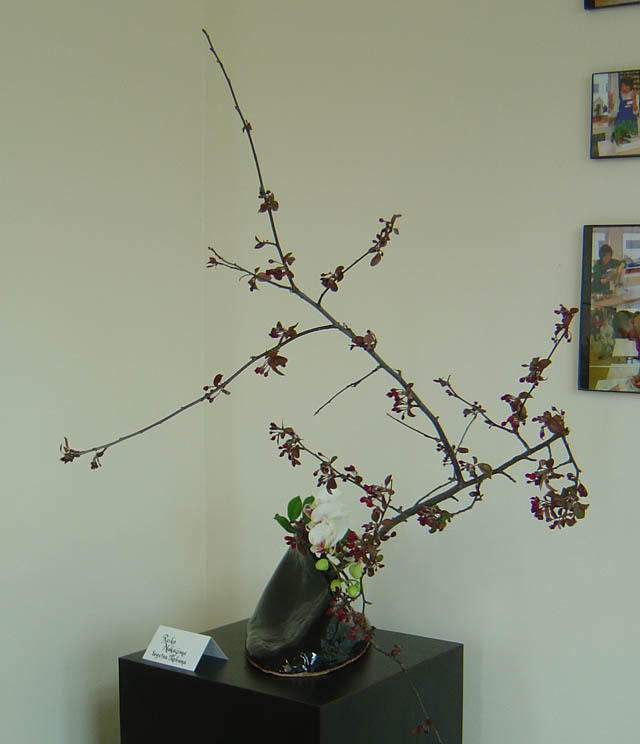 After researching Ikebana, I discovered workshops were regularly offered at the Phipps Garden Center and began to attend regular meetings to gather information from hands-on instruction, and take photographs to share with students. 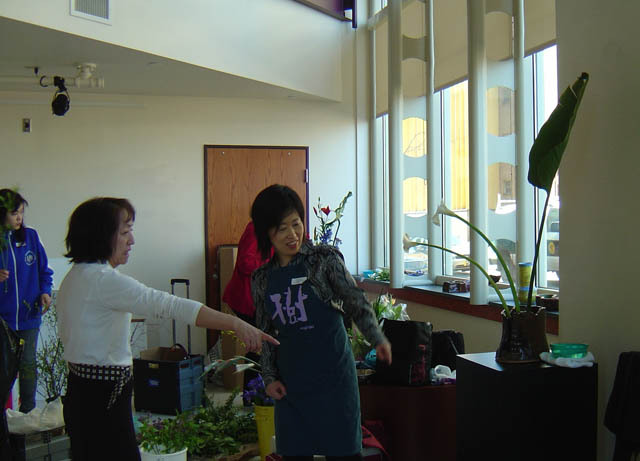 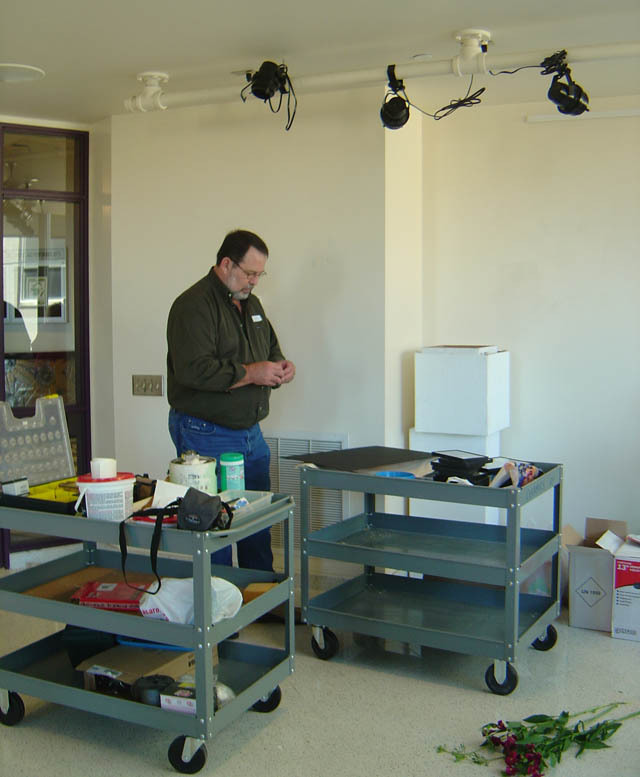 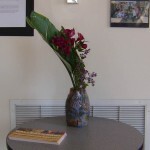 The relationships formed through these workshops evolved into CAPA ceramics program’s first Ikebana collaboration when a few volunteers from the International Ikebana Society demonstrated flower arranging in the studio. 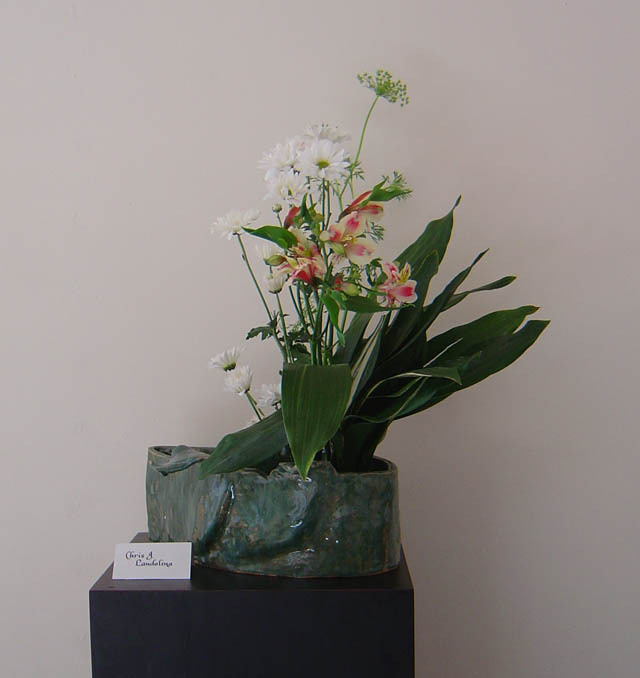 After successfully creating a series of ceramic containers, seniors, Tim and August were invited to exhibit at the Andy Warhol Museum along with members of Pittsburgh Sogetsu Ikebana. 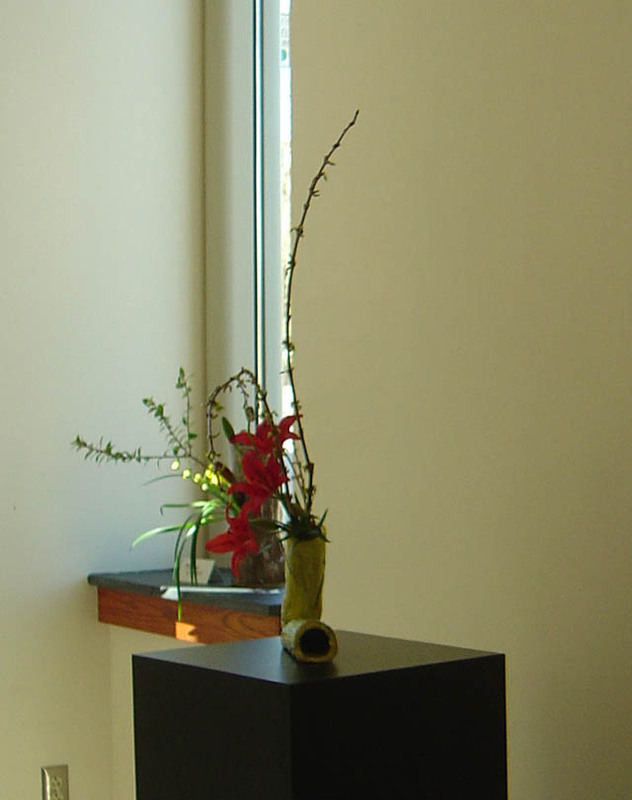 When Tim and August arrived at the museum in the early morning hours on their day off from school, I knew I needed to offer this experience of collaboration and Ikebana to other students. 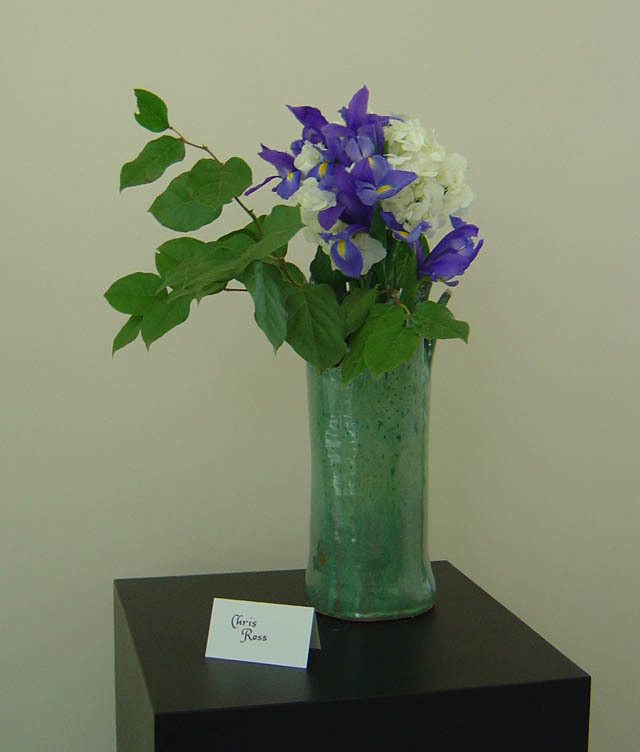 In spring of 2006, I was awarded a Surdna Arts Teacher Fellowship to participate in a summer self-directed residency program at the Shigaraki Ceramic Cultural Park in Japan . 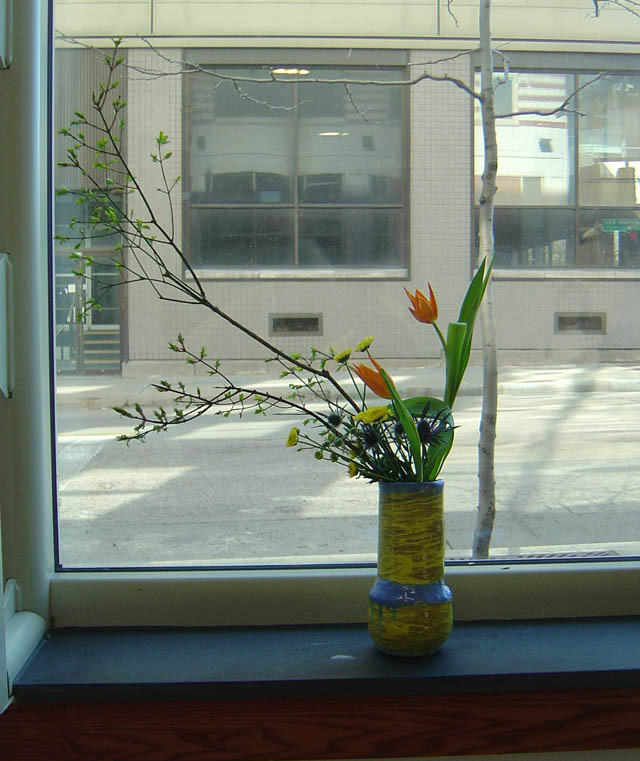 Funding for a post fellowship activity provided me with support to develop a workshop including CAPA visual arts students and members from Pittsburgh Sogetsu Ikebana. 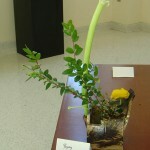 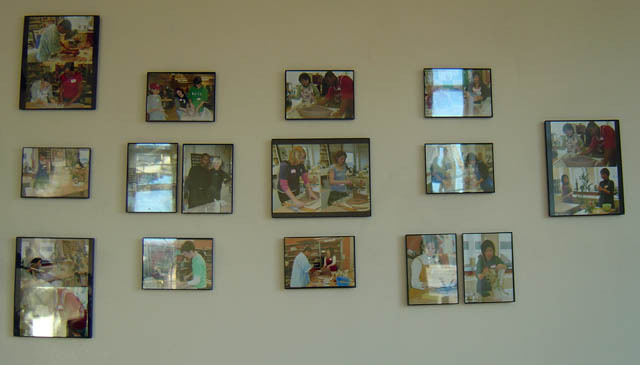 It also enabled this exhibition to be shared with the community. 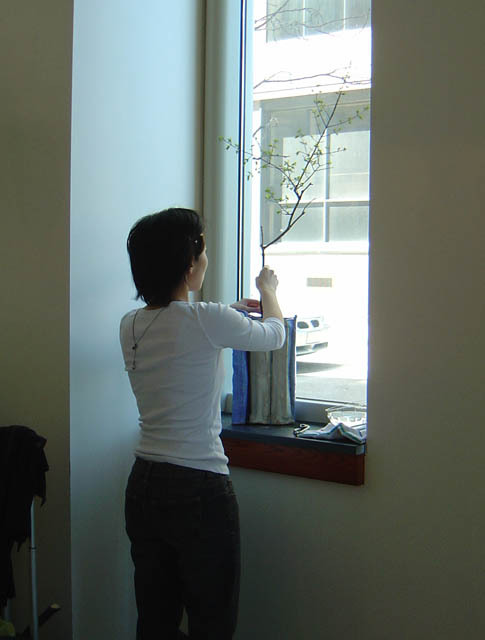 In the atmosphere of creativity described above I observed people of different ages, genders and cultural backgrounds working relationally and independently, happily and intently. 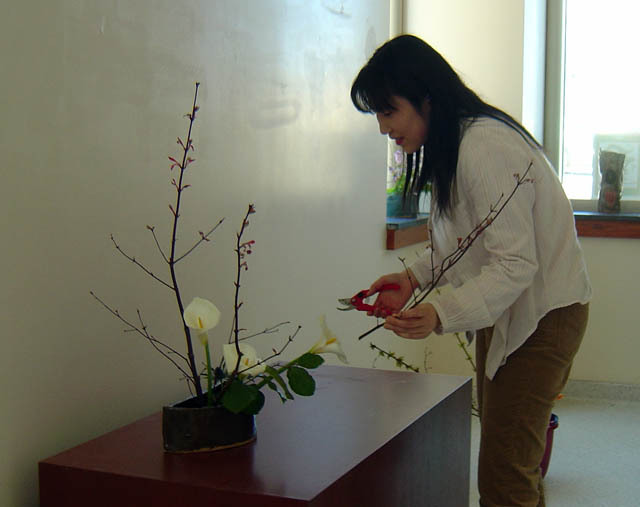 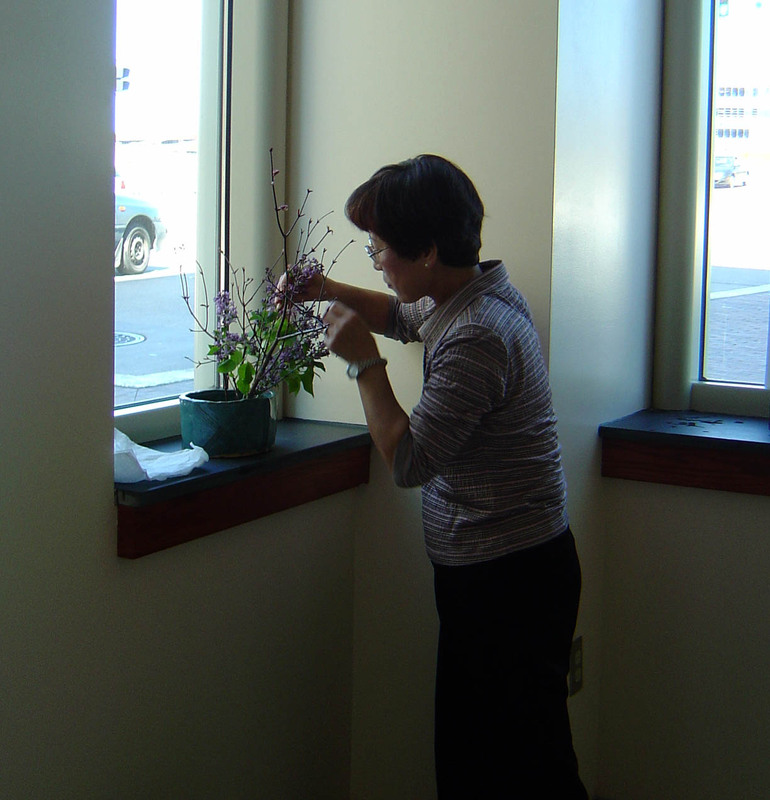 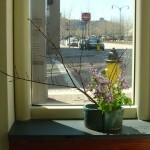 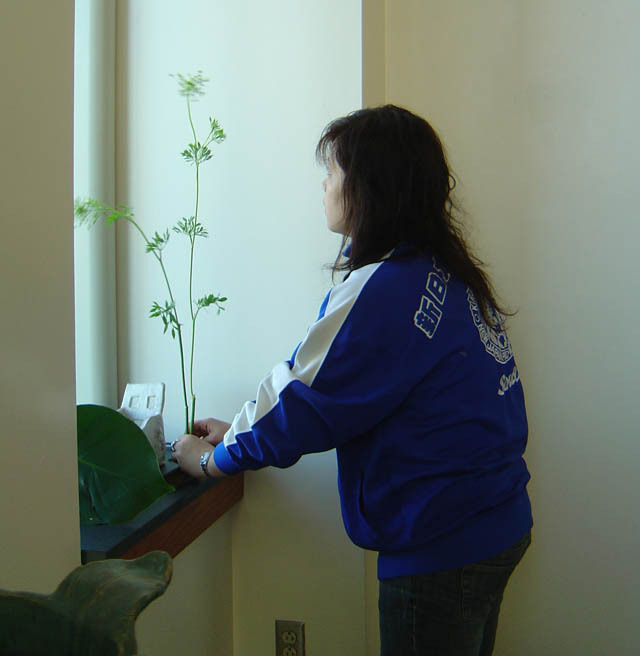 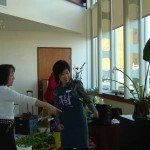 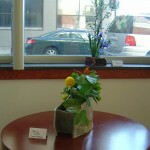 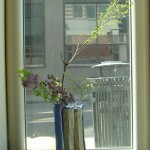 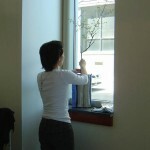 Even the lone Ikebana practitioner must act in the spirit of collaboration. 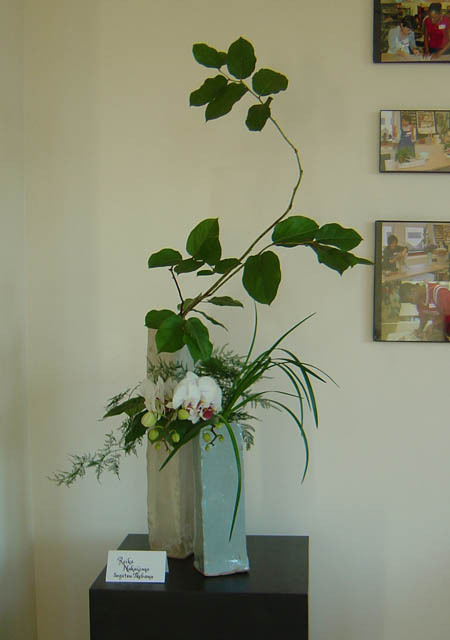 The outcome of every arrangement is always dependent upon one’s frame of mind, the range and qualities of flowers, and the scale, form and texture of the container. 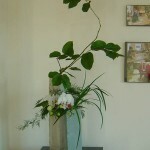 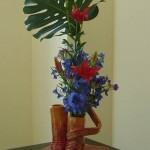 For these reasons, it is often best to approach each arrangement without a preformed vision of an end product. 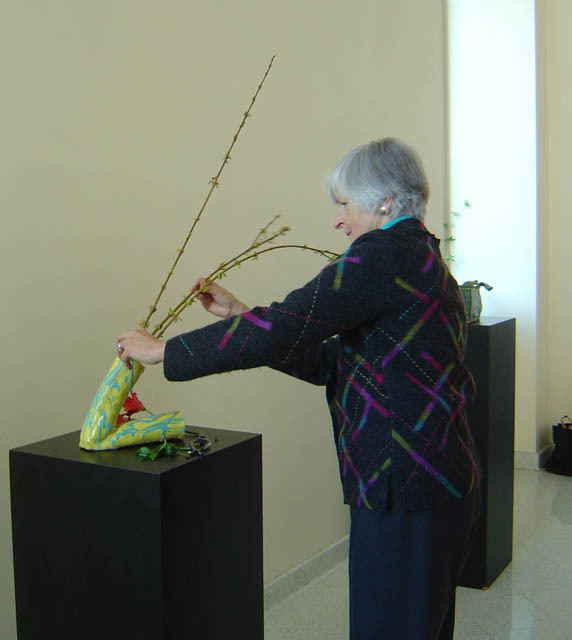 This exhibition brings the collaboration to a full circle. 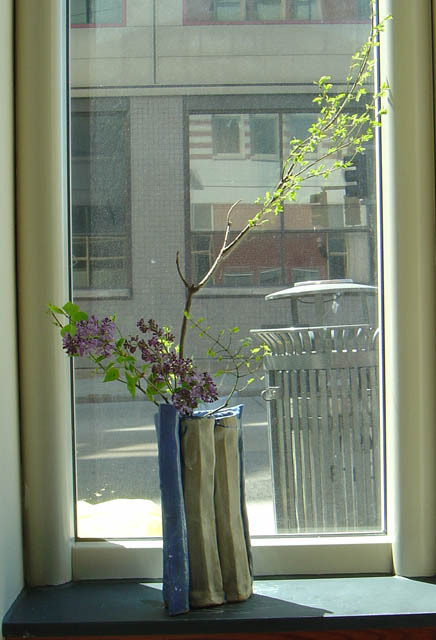 The containers and flowers become one. 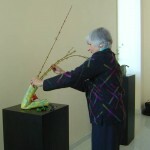 The exchange of ideas and skills form an exquisite display.